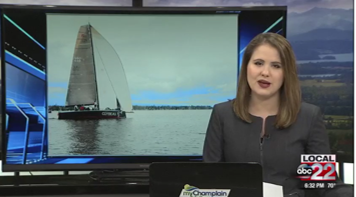 Those with sea legs set sail for the 40th Annual Mayor's Cup Regatta in Plattsburgh, while land lubbers celebrated the city in a different way. The Annual Mayor's Cup Regatta took place on Saturday where many competed for the hardware. The event is well known and draws people from all over the country and Canada. It is put on by the Plattsburgh Sunrise Rotary. The annual events draws in over $10,000 every year. Captain Ed Kehn has been part of the Rotary for over 30 years. He said the turnout was not as good as other years, but the competition was still going strong. By City Hall, the rotary set up "land lubber" events. There was food, music and activities planned for the duration of the day. In addition, 2017 was Colin Read's first Mayor's Cup Regatta as mayor. "It's very exciting," Read said. "This is a long standing tradition...people are coming from all over the place to celebrate this and it's so exciting to see." The Regatta is part of a festival that ran July 1 through July 9.